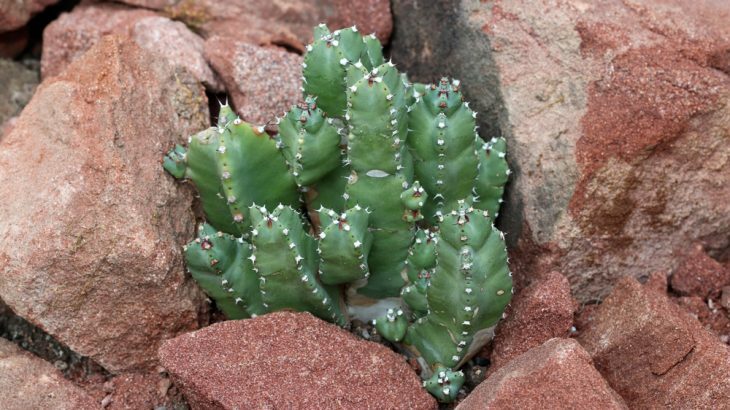 As the opioid crisis looms, doctors are looking for more effective ways to treat pain – including, it seems, at the nerve-destroying chemical produced by a Moroccan plant called Euphorbia resinifera. Also known as the resin spurge, the succulent produces a chemical called resiniferatoxin, which measures at 16 billion units on the Scoville scale. By comparison, jalapeños hit only about 2,500 to 8,000 units on the scale. Eating Euphorbia resinifera is undoubtedly a terrible idea. Injecting the nerve-destroying chemical resiniferatoxin, however, might be a way to help people with chronic pain, without the potential health and addictive side effects of opioids. That’s because resiniferatoxin, known as RTX, binds specifically to a molecule in nerves that sense pain: TRPV1. It’s the same molecule capsaicin affects. “So when you put hot pepper on your tongue and it feels like it’s burning, it’s not because your tongue is on fire,” Dr. Tony Yaksh of UC San Diego told the newsmagazine Wired. “It’s simply activating the same sensory axons that would have been activated if your tongue had been on fire. An anesthesiologist and pharmacologist, Yaksh has been studying how RTX can be used to treat pain. Because the nerve-destroying chemical binds only to TRPV1, it could potentially stop pain in its tracks without affecting function – doctors could treat knee pain without removing the ability to walk, or hand pain without killing the patient’s sense of touch. Patients would need to be anesthetized before RTX is used, because the initial pain is excruciating, doctors studying the nerve-destroying chemical said. But after a couple of hours, the pain wears off and the treated area is deadened to pain for potentially months, until the damaged pain-sensing nerves regenerate. And treating tissue around the spinal column – not the spinal cord itself – can help people with widespread pain, such as patients in the last stages of cancer. The NIH is currently running trials on the nerve-destroying chemical, which is not ready for release as a pain treatment yet. But if it makes it through the Food and Drug Administration’s approval process, it could become a potent treatment for people with chronic pain conditions like cancer and autoimmune disorders.